TVB is scrambling to find a new shooting location after it cancelled plans to film new series Elegant Transformation <華麗轉身> in Vietnam, due to the country’s on-going anti-China sentiments. Star Damian Lau (劉松仁) supports the decision and jokingly suggested filming in Canada so that he may meet up with some of his former flames. 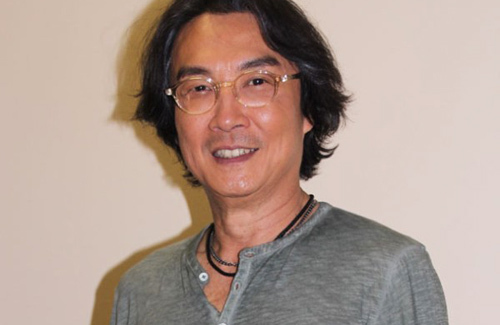 A veteran actor who has been in the industry since the 1970s, Damian created many classic TVB characters during his time with the company. He has not been seen in a local drama since 2012’s Silver Spoon, Sterling Shackles <名媛望族>, spending his time instead filming in Mainland China. Damian has now been summoned back to TVB to star in yet another big-budget production along with his famous on-screen partner Liza Wang (汪明荃). At TVB City for a costume fitting on May 27, he denied that his return had anything to do with saving TVB’s poor ratings, saying that he is simply fulfilling a promise made to Liza two years ago. He then jokingly recommended Canada as a potential filming location only because his former loves currently live in the country. Married to his wife, whom he also met while flying to Canada, for over two decades, Damian quickly clarified that the women from his past are all married and that he is only interested in meeting up for a brief chat. Good opportunity to learn from Damian! Looks great for his age. For a glance, I thought it was Tony Leung Ka Fei. Tony LKF isn’t aging as well. His recent movie with Kelly Chen, he looked a bit exhausted. Damian can increase TVB ratings, but the old, domineering Liza Wang will ruin it for him, making TVB lose more ratings then it earns. Why Liza? She’ll be a letdown to the series. And making it worse, it is a big budget production. Why such a big gamble? Liza Wang is definitely a poor choice but she probably made a lot of waves to land this leading role. God forbid that she take a supporting role to raise TVB ratings and let Michelle Yim or Christina Ng take head billing. Pride and ego is too much to give up. I wonder why Dodo Cheng has not film any series at all…. Dodo said filming is too strenuous. Considering her age and health, she would rather MC. They should film it in Canada or America. Love watching Damian! I’m looking forward to this series. Damian has a good sense of humor. put them on a row boat then. I like Damien till he started acting cute in Rippling Blossom, then i got turned off. Big budget drama with Liza Wang ? A plan to give Liza Wang a Best Actress Award this year. I think she already got a lifetime achievement award from TVB two years ago. Any series with Liza Wang is no good. Her acting has plato. same bossy self all the time- boring! if tvb can’t do it in vietnam anymore, why not Lao?